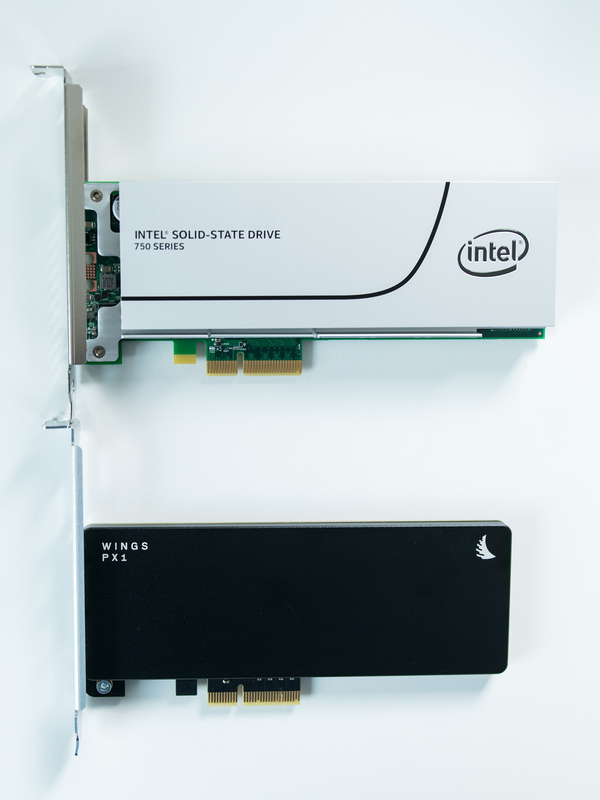 On the bench: Intel 750 PCIe SSD 1.2TB – the edit bench. Recently, I noticed that the Intel 750 NVME SSD experienced quite a price drop in the last months. I remember the time around Christmas, when I was planning my current editing rig. 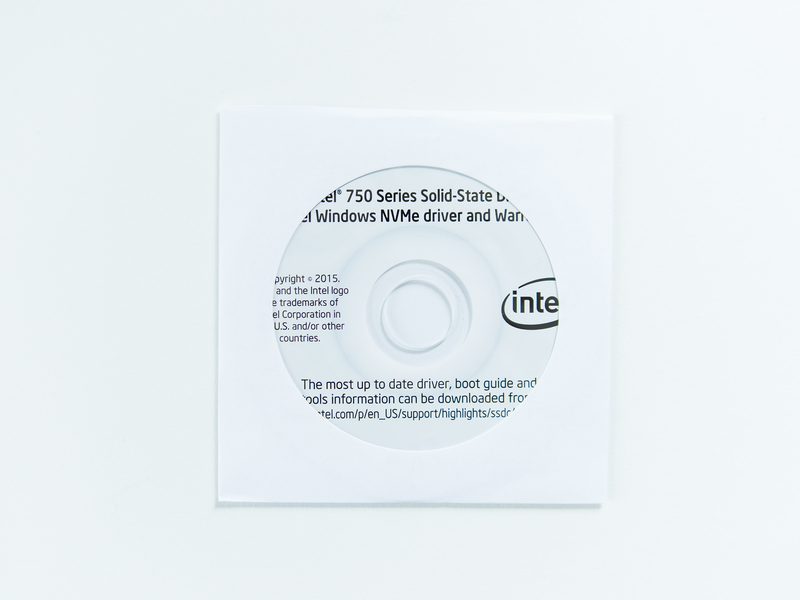 The 1.2TB version of the Intel 750 sold for more than 1100 Euro in those days. That was almost 1 Euro per GB of storage. It’s direct rival, the Samsung 950 Pro (even though only roughly 45% of the total storage capacity) traded for around 320 Euro, which is about 0,62 Cent per GB. My decision was to go for the 950 Pro and later upgrade my storage by adding 1-2 more 950 drives in a raid or span configuration. 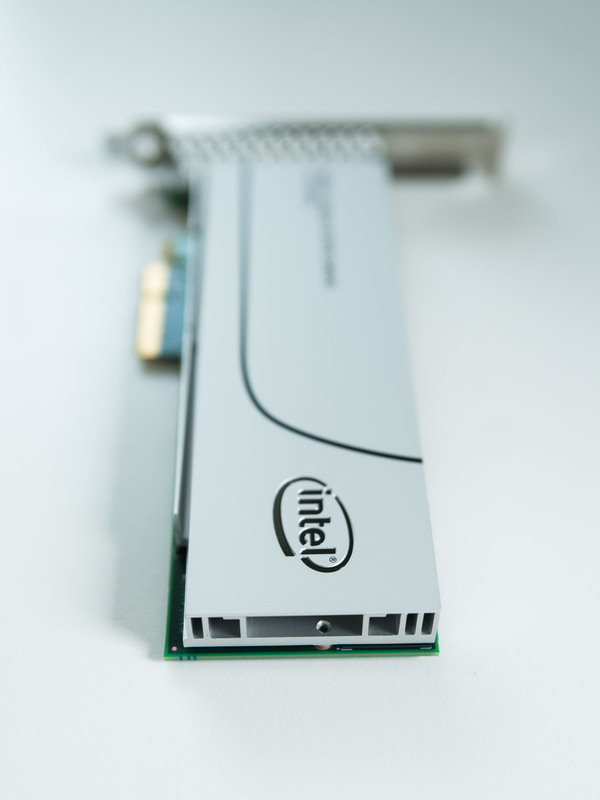 Last week, I pulled the trigger on the Intel 750 1.2 TB PCIe SSD for only 697 Euro! Now, it is time to see how it performs. 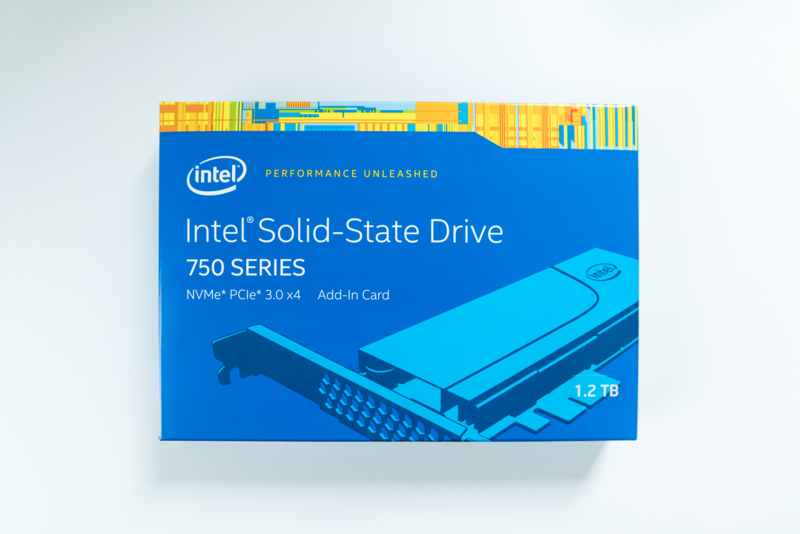 The Intel 750 comes in a typically designed blue Intel box. 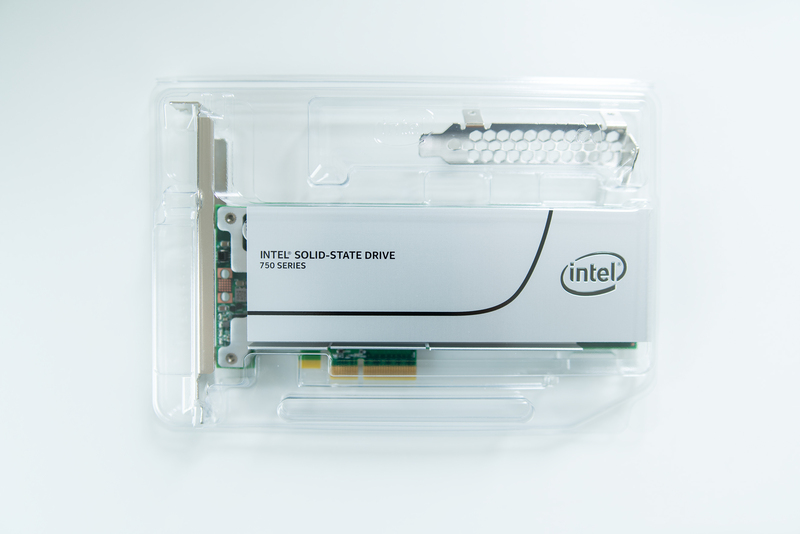 Inside, the SSD is securely packed with plastic packaging. The low profile PCIe bracket and the software mini-CD are loose inside the box. As espected, the overall build quality is high and thought through. 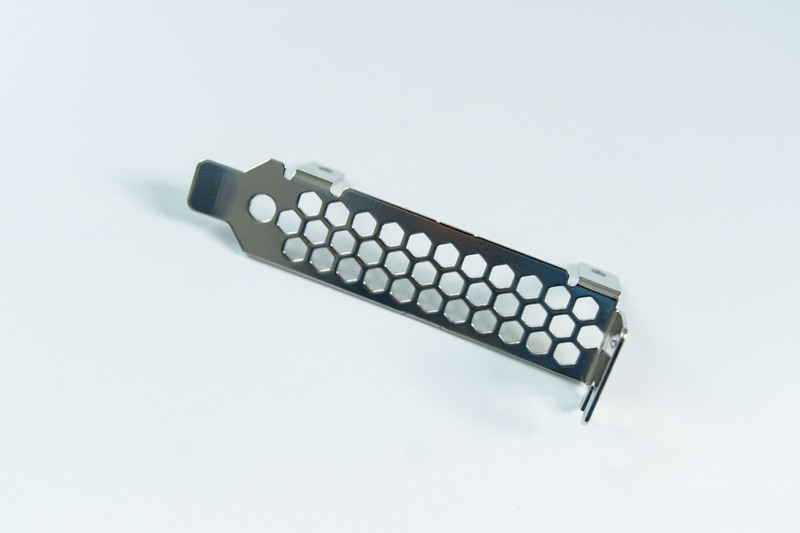 The largest part of the drive is the aluminum heatsink that covers the entire drive. Similar to the Angelbird Wings PX1 adapter card (read my review here), it has openings towards the front and the end allowing air to pass through the drive. The PCIe bracket at the end has a honeycomb structure so that the hot air can leave the case with little restriction. On the backside, there is a metal backplate. If you have a close look at the end of the drive, you can see one of the two capacitors sticking out (the round thing saying “UD”). These capacitors help to protect your data from the case of sudden power loss – nice! The Intel drive has a significantly larger profile and is a bit longer than the Wings PX1 and thus taking up more space in your case. I conducted the performance benchmarks with two different drivers. 1) with the Intel NVME driver and 2) with the preinstalled win10 driver. It seems obvious that the intel driver is better suited for an Intel drive. Still, I simply wanted to see what would happen. Here are the results. Overall, the intel driver produced the best score, yet the sequential read/write speeds are higher with the preinstalled driver. Again,the preinstalled driver produced the fastest result while the Intel driver was best overall. It seems that the preinstalled driver is more geared towards sequential speeds. This drive is fast! Using the Intel driver the SSD produced read speeds of up to 2,729.852 MB/Sec @8 MB transfer size. The preinstalled driver produced faster write speeds from time to time. Interestingly, under the Spreinstalled driver, the scores dramatically decreased above a transfer size of 32 MB. Again – Intel wins. Another particularly interesting finding is that read speeds with both drivers lack behind write speeds until 256KB (512KB with preinstalled driver). This behaviour is definitely different from the Samsung 950 Pro SSD. Attached to the last ATTO result (see above) you can also see the temperature the drive reached at the end of the benchmark. 37°C was quite cool compared to its rival, the Samsung 950 Pro (see results here). To stress the drive even further, I ran the test again without it having time to cool down. Not bad at all. Still quite cool. The heat management and thermal design of the drive can easily handle the heat produced by high workloads. At around 700 Euro incl. 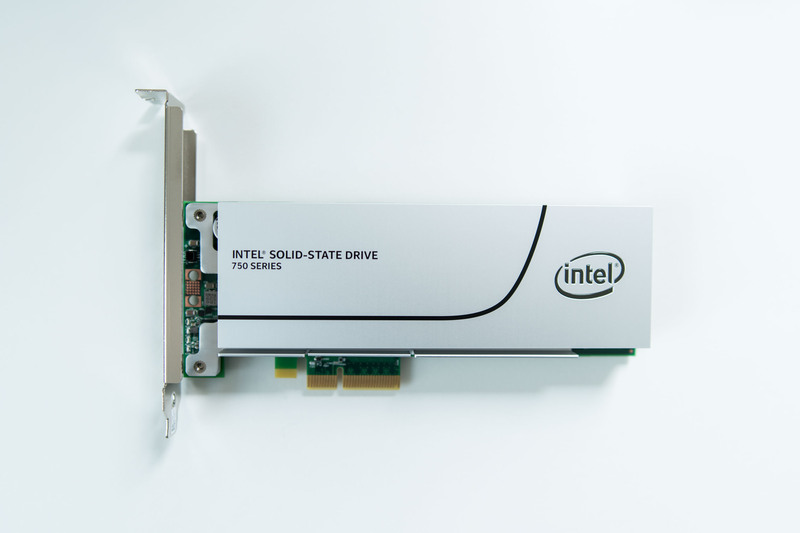 VAT the Intel 750 PCIe SSD 1.2TB is a hot contender for being the best drive for media use. 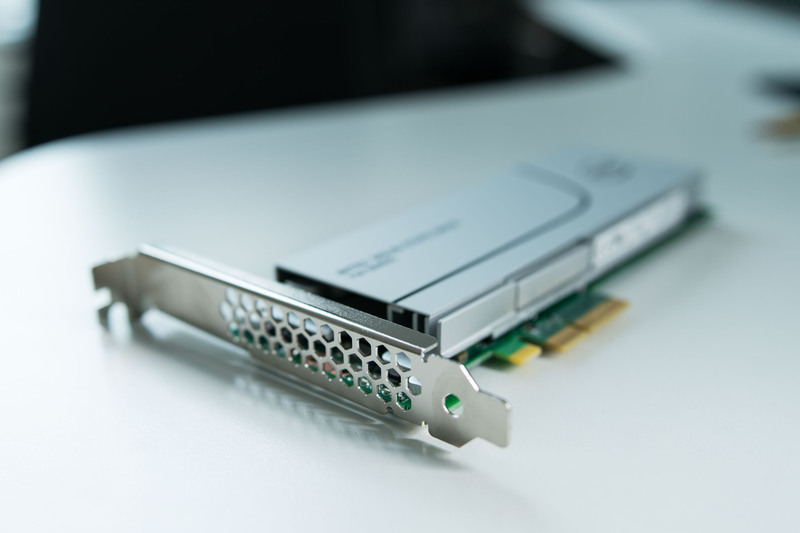 It is insanely fast at larger transfer sizes and stays cool even under high workloads. 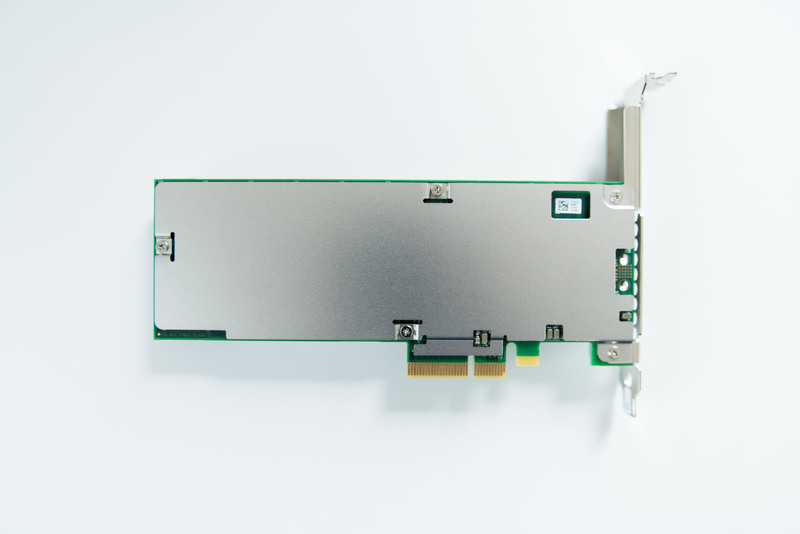 While other NVME drives such as the Samsung 950 Pro also come in the M.2 form factor, Intel only offers the drive as a AIC for PCIe or as a 2.5 inch u.2 drive. 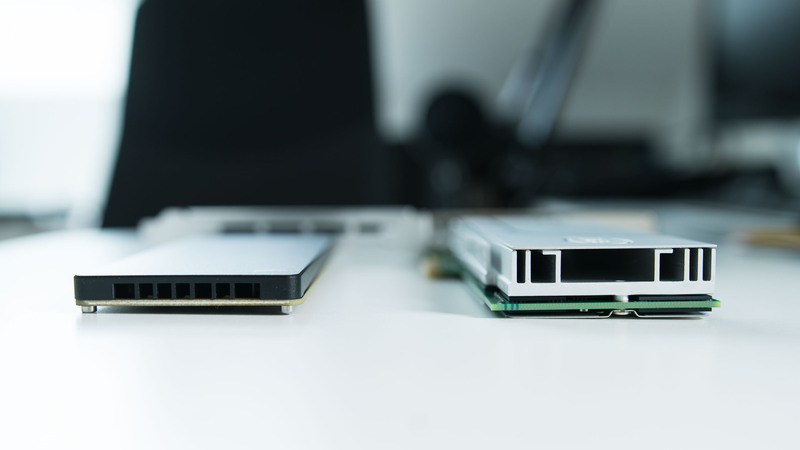 The latter is still hardly used – with the exception of professional raid controllers – but will become more popular with Broadwell-E in the near future. 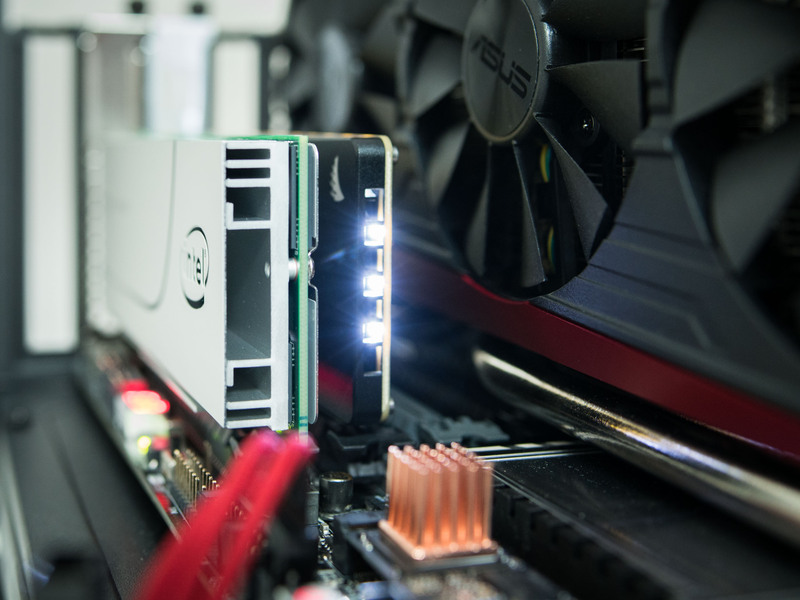 Several newly announced mainboards will feature dedicated u.2 connectors making this kind of drive the possible successor to sata III. A detailed comparison to the Samsung 950 Pro will follow shortly – stay tuned. Previous Post Overclocking – how does it affect export times?